– Fit a 5mm diameter steel drill bit in a power drill to use. – Remove the nut on the rear of the lock. – Remove the ‘CAM’ which holds the door closed – please keep this to use on the new lock. 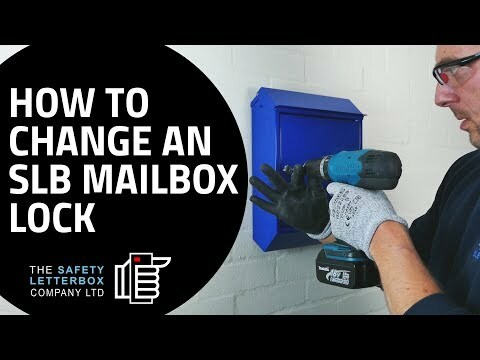 – Remove the locking ring which tightens and secures the lock to the body of the mailbox. – Reuse the CAM removed from the previous lock.